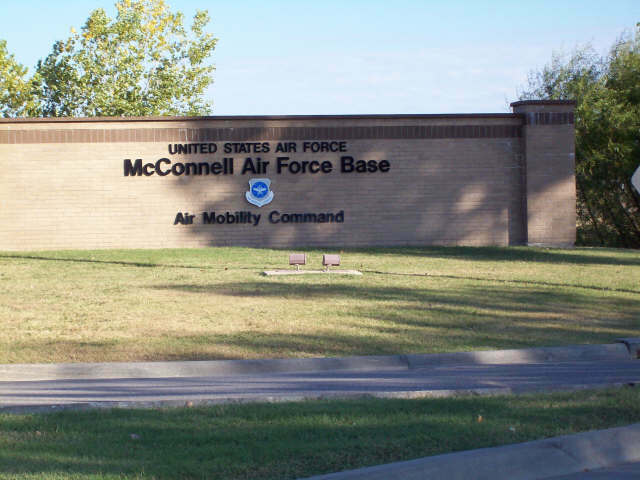 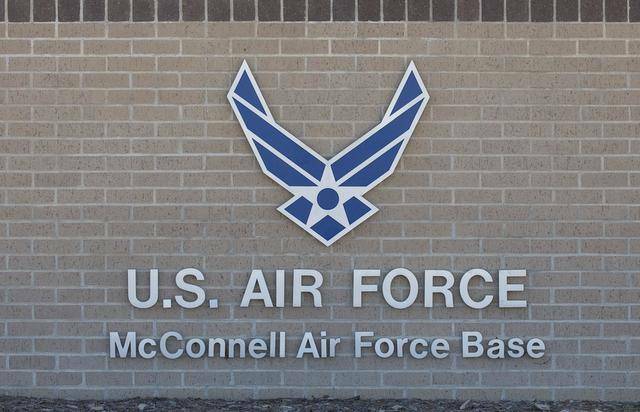 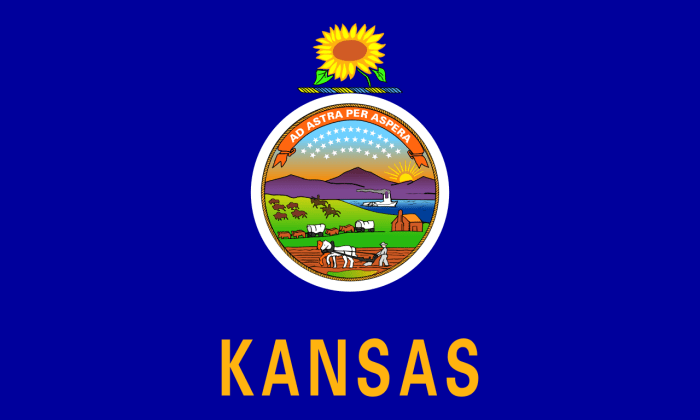 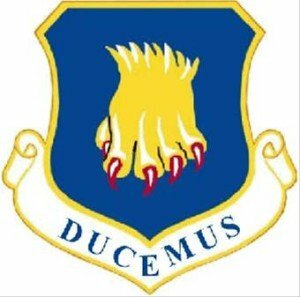 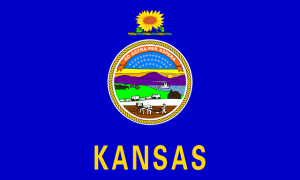 McConnell Air Force Base is a United States Air Force base located four miles (6 km) southeast of the central business district of Wichita, a city in Sedgwick County, Kansas, United States. 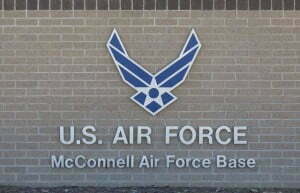 The base was named in honor of Wichita brothers Fred and Thomas McConnell, both Air Force pilots and World War II veterans. 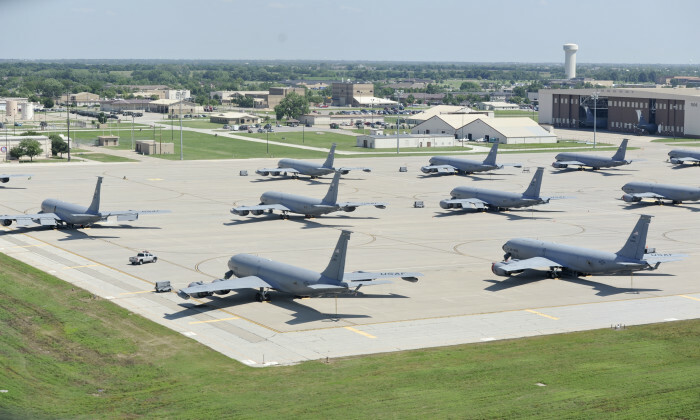 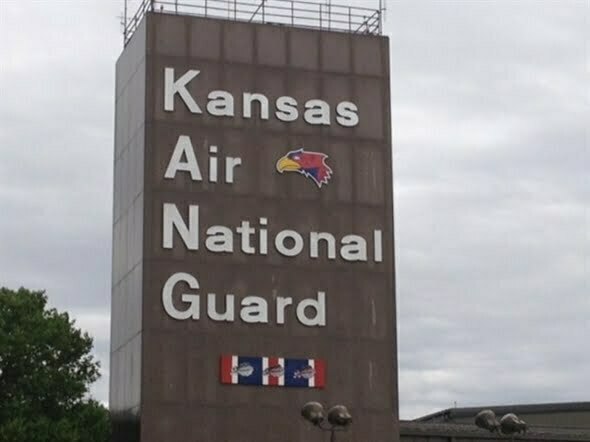 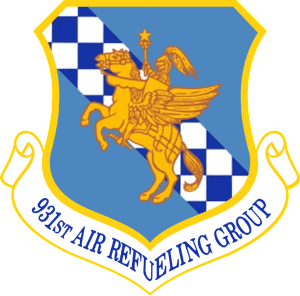 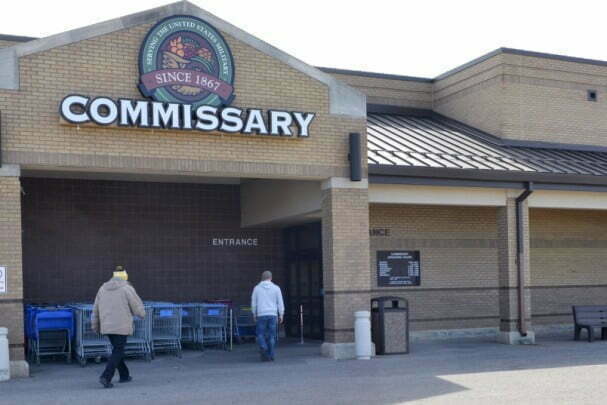 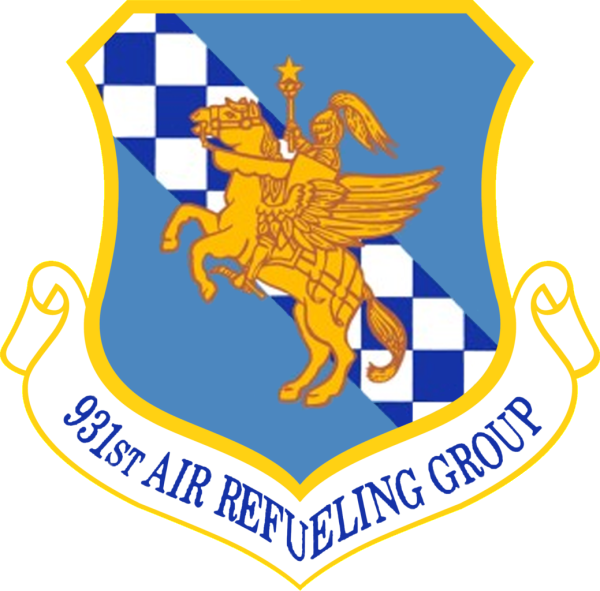 It is the home of Air Mobility Command‘s 22d Air Refueling Wing (22 ARW), Air Force Reserve Command‘s 931st Air Refueling Group (931 ARG), and the Kansas Air National Guard‘s 184th Intelligence Wing (184 IW). 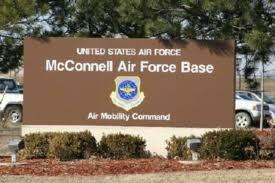 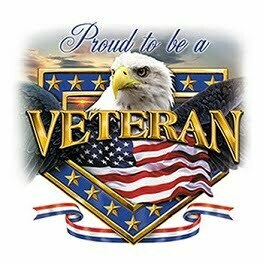 McConnell’s primary mission is to provide global reach by conducting air refueling and airlift where and when needed. 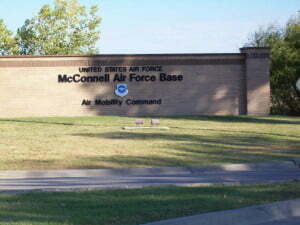 Long Term Parking: Free available parking in front of the passenger terminal building #1220. 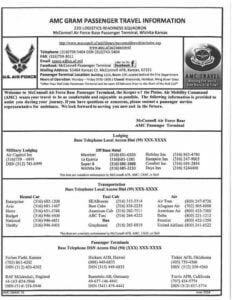 Contact a Customer Service Rep for more details. 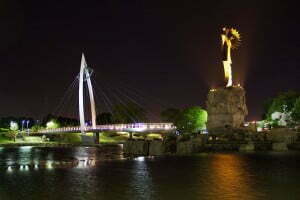 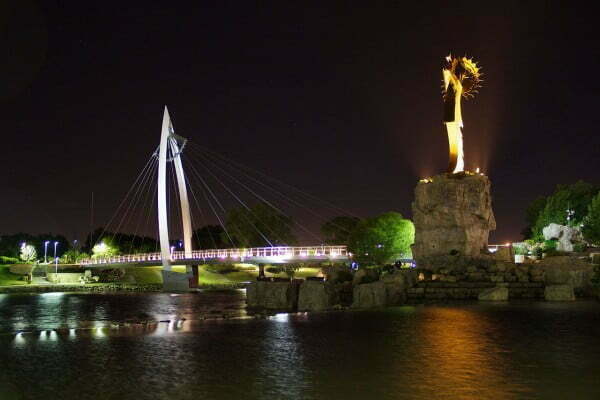 Travel to/from Wichita Mid-Continent Airport: Transportation to and from Wichita Mid-Continent Airport is offered by local taxi companies. 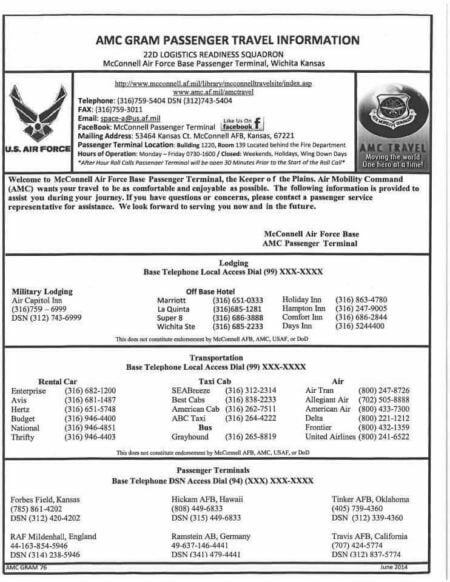 Speak with a Space-A representative for a list of taxi services.